media.ccc.de - Playlist for "That time my great grandfather didn't die"
Playlist "That time my great grandfather didn't die"
All layers in an organisation usually knows what best practice is, yet it’s hard to enforce it. 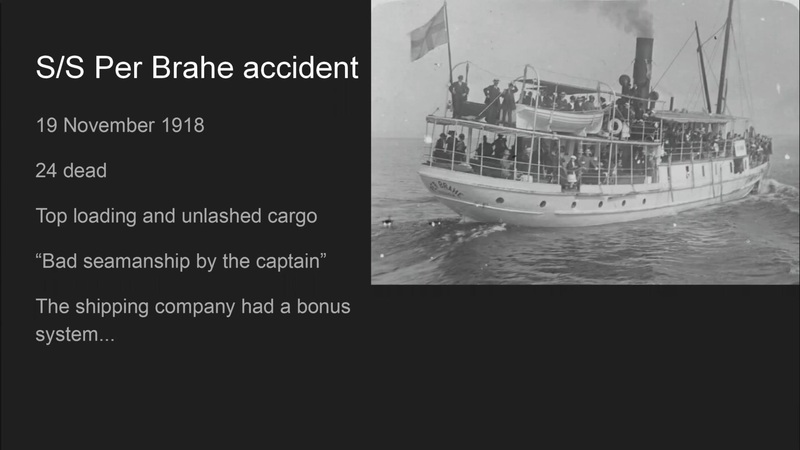 The talk will start in a 100 year old accident with personal implications for me personally. A sinking boat, two drowning artists, and my great grandfather being the sole survivor. The accident was caused by well-known handling errors, enforced by the whole organisation from top to bottom. Economic considerations as well as tedious, repetitive manual labor caused a well-built boat to sink. I see strong parallells between this accident and my work as an agile tester. Computer engineering differs from any other kind of engineering because of its lack of enforcement of standardised frameworks, checklists and due diligence. I argue that the IT business is about as mature as the physical engineering branches were a 100 years ago, and a combination of the GDPR and agile methods is our best hope of changing from a Wild West business to something more modern.